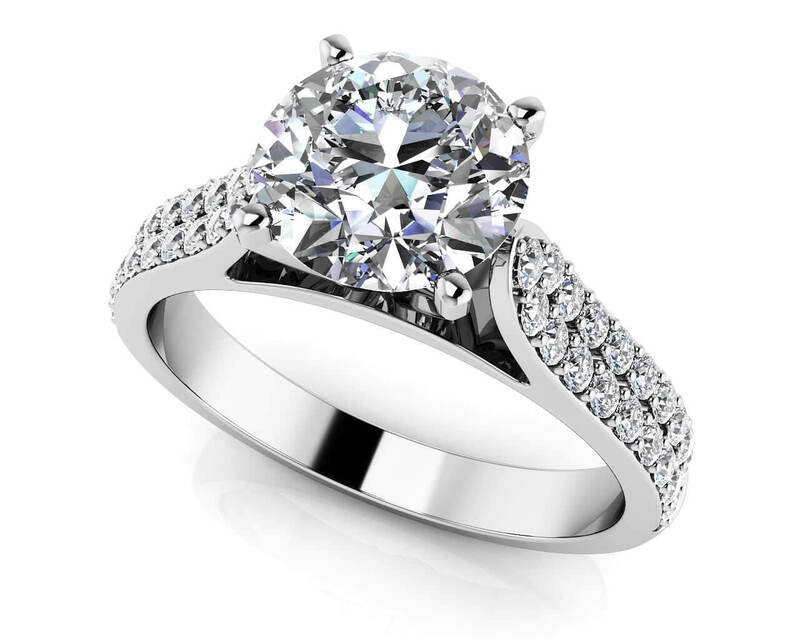 Make it exclusive with this stunning double row diamond engagement ring! Two rows of sparkling diamonds are prong set along the shank and lead to the brilliant center diamond. 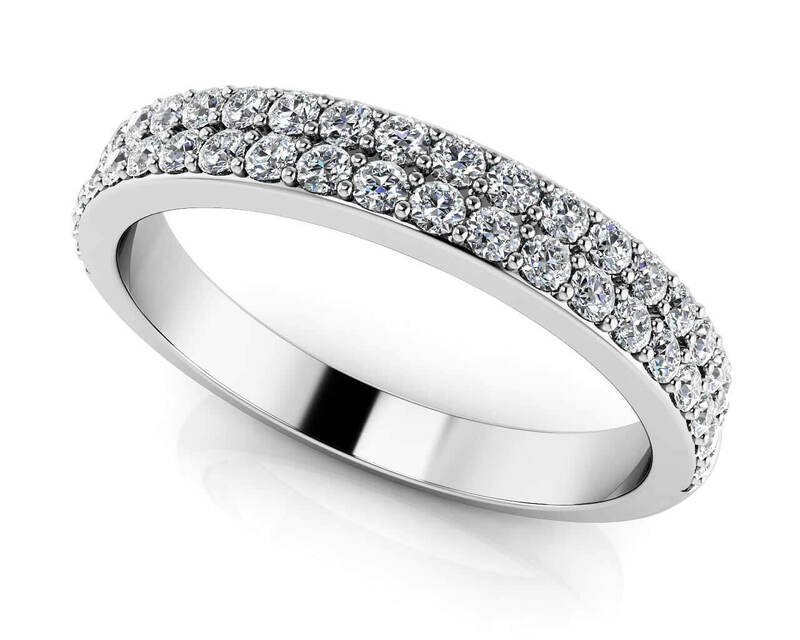 The center stone is available in five different sizes; .50 ct., .75 ct., 1 ct., 1.25 ct., and 1.5 carats. 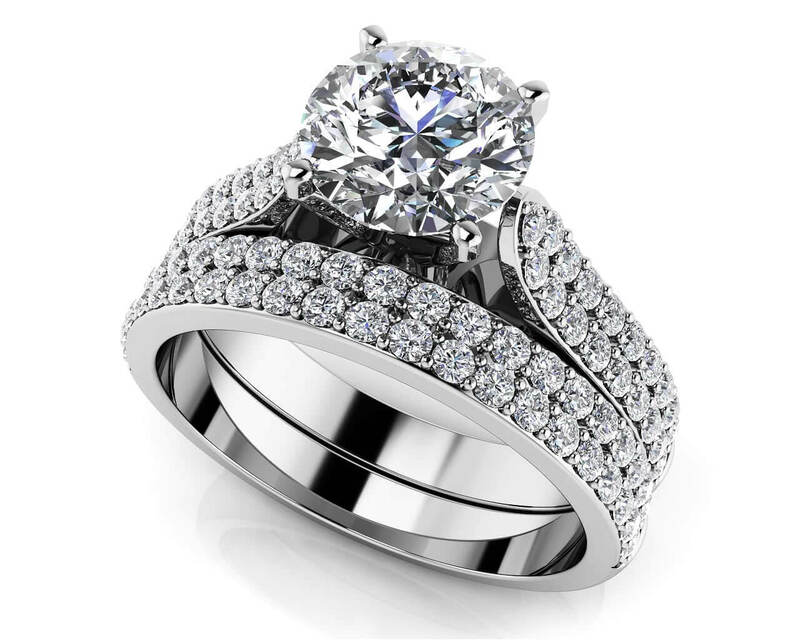 Make it the perfect proposal when you customize this diamond engagement ring with your favorite metal type, diamond quality and size.